Once upon a very long time ago, I decided that I was going to move to Scotland. I applied to Edinburgh and Saint Andrews and decided that Edinburgh was the city for me. I accepted an offer to study there, and then I chickened out and moved to Switzerland instead. The only time I've even come close to regretting this decision was this past week, visiting Edinburgh with my love and spending all of our time visiting old buildings, museums, and bookshops. Of course if I had moved there, I wouldn't have the life I have now, and I wouldn't change that for the world. What I can do though is travel to Edinburgh more frequently in the future and take advantage of the bookshops (and the cool temperatures and gorgeous architecture). 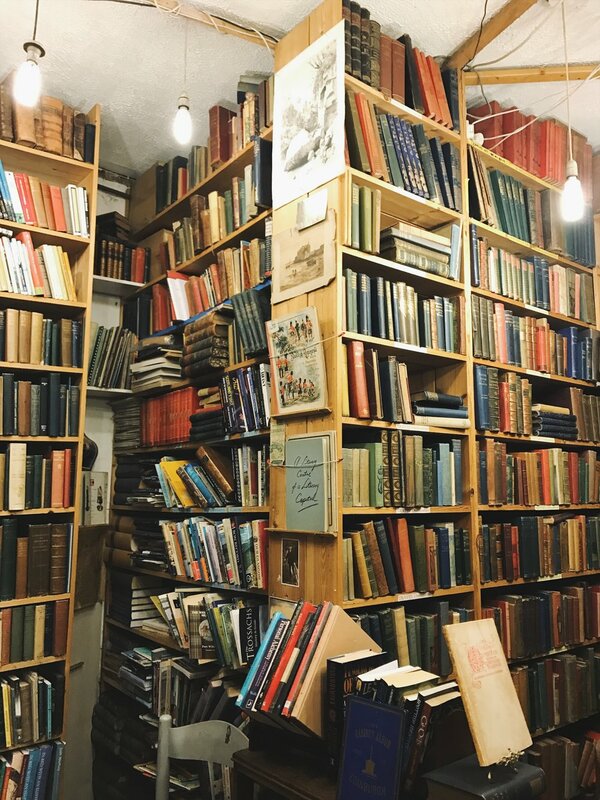 I can also share the bookshops we visited with you so that everyone can have a very bookish time. Hands down, the most impressive bookshop we visited in Edinburgh was Armchair Books. 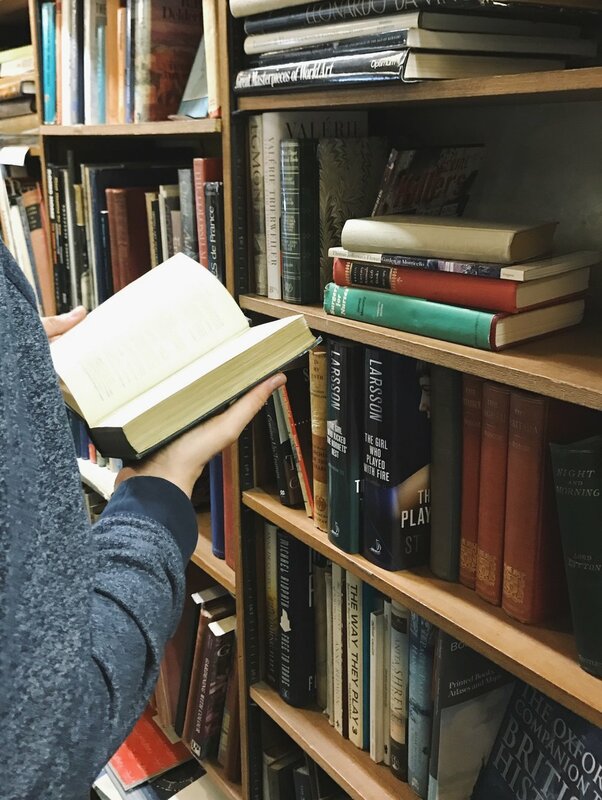 Just beyond Grassmarket Square and below the Castle, Armchair Books is a small, winding secondhand shop stocked floor to ceiling with books. It's beautiful to look at, even if you aren't looking to buy anything. 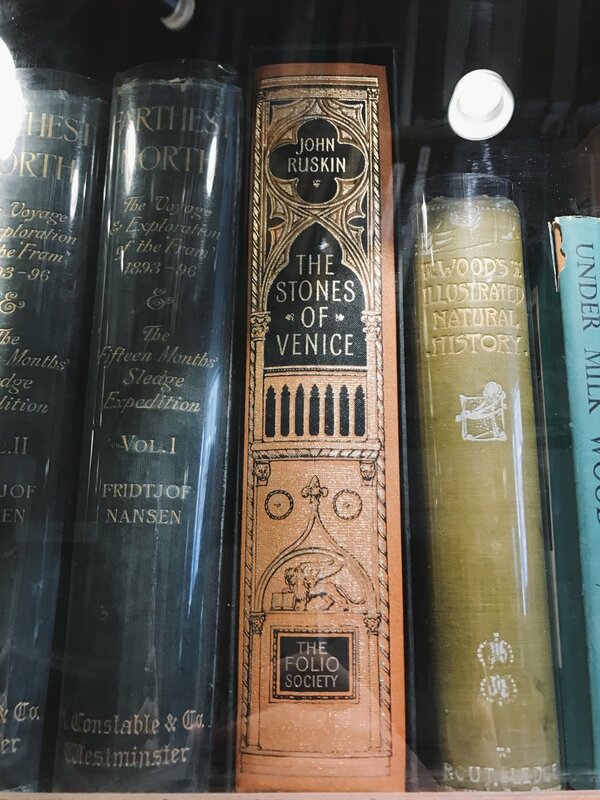 It's full of gorgeous old editions at comparatively reasonable prices, including many collectibles and first editions. I almost cried over a second printing of The Secret Garden from 1912 and even held a first edition of The Little Lord Fauntleroy in my hands. Armchair Books was the last of the bookshops we visited in Edinburgh, but next time, it'll be the first. 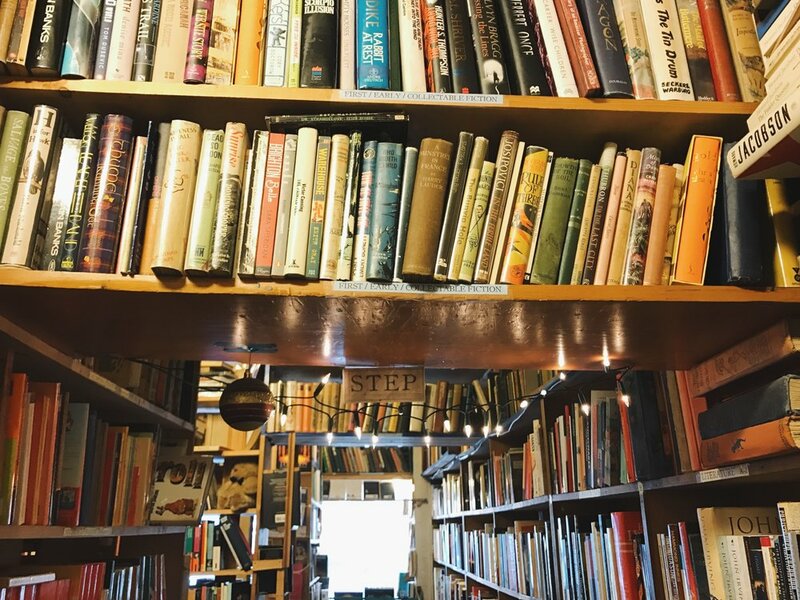 Also located in Greater Grassmarket, The Old Town Bookshop is tiny but memorable. They have a nice selection of Scottish works, Victorian editions of classics, old prints, and even a selection of recent paintings from a local artist. 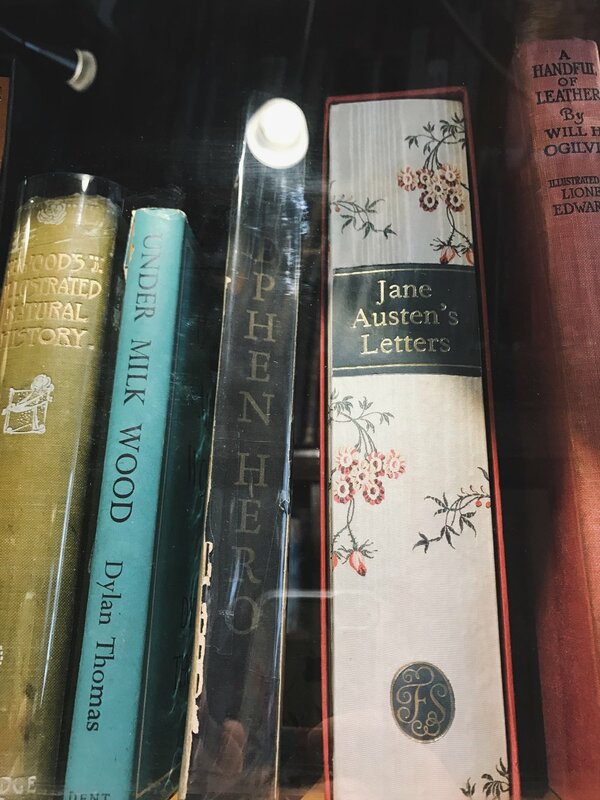 My partner was happy with their Walter Scott collection and picked up one of the Waverley novels for his collection, while I swooned over a an old Folio Society edition of Jane Austen's letters. 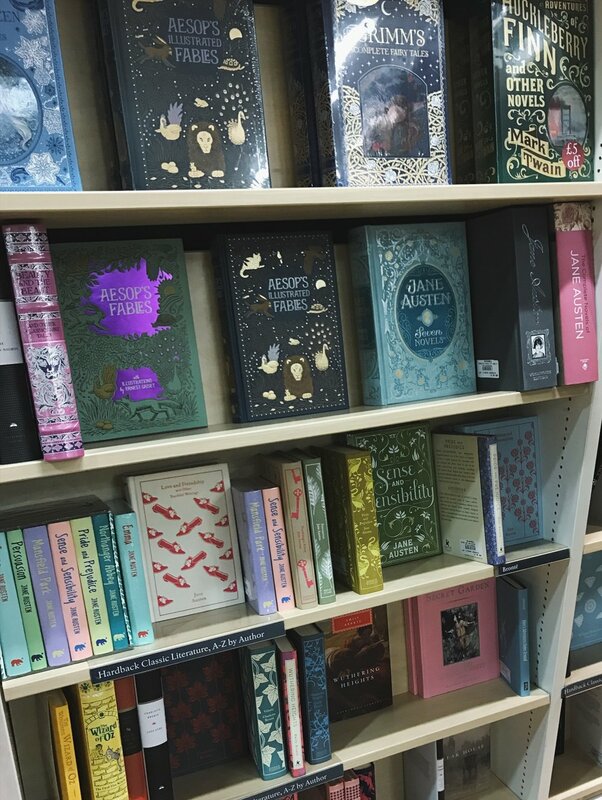 Blackwell's bookshops may not seem special if you live in or near a university town in the UK, but it's heaven on earth if you live in a non-anglophone country and love new books. Blackwell's is huge, reasonably priced, and has plenty of "2 for 3"-type deals. I was in heaven and stocked up as I could. The shop also has a nice Scottish section and let me find an Ali Smith novel I didn't know existed but am now dying to read. Though the most disappointing of the bookshops we visited, Southside Bookshop is still a solid secondhand address. You need luck to be on your side to find what you're looking for, but I still found some nice Virginia Woolf editions that I was tempted to buy. Now tell me – what did I miss and where do I need to go next time?